Turn heads with a beautiful off-shoulder cocktail dresses, or a stunning sequined cocktail dresses with an elegant neckline. Flare cocktail dresses are the ideal dress of choice for many fashionistas, who are looking for something slightly more fun and flirty for the afternoon. 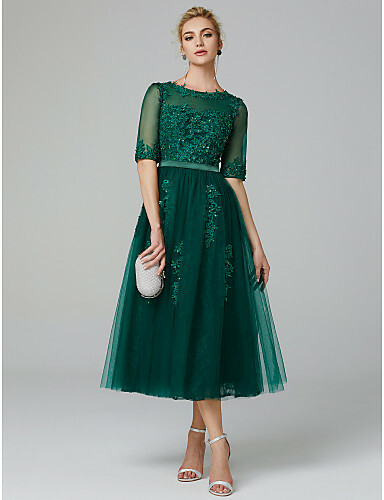 For more formal events such as a wedding dinner or a prom, a slightly tighter cocktail dresses is needed. Black and white are both a popular choice of color when it comes to evening wear. Simply match your favorite cocktail dresses with a stylish pair of heels, a pair of stunning earrings and a necklace, and you are all set to shine like a star at the event. Our collection of affordable cocktail dresses also offers more casual options if you're looking for something special to wear on a hot date. All our dresses are made from high-quality fabrics, making them comfortable to wear at all times. Shop LightInTheBox collection of affordable cocktail dresses for women in different styles and colors. No matter what your style, find your perfect look with high low hemlines, illusion necklines, sleeves, beaded waists, and other red-carpet ready details. From white cocktail dresses to little black dresses and any color in between, you'll find the perfect look for any occasion and any budget! 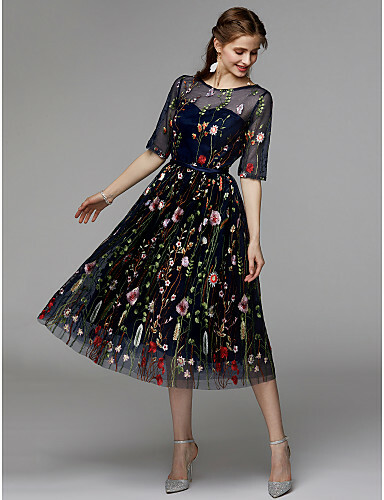 Discover the hundreds of possibilities for formal and affordable cocktail dresses available to you today here at LightInTheBox. We also highly recommend you to browse our cheap wedding dresses collection.